Home Food Did You Know You Can Add Chai To Your Cooking? Did You Know You Can Add Chai To Your Cooking? The most loved beverage can be added to food! The lovely fragrance of chai mesmerizes the mind and tempts the taste buds. Chai or tea is a beverage that is loved all over the globe, but holds a special place in every Indian’s heart. That evening or morning cup of chai is something one can’t do without. Love chai too much? Did you know you can add tea to some of the dishes you cook too? Chai Ice Cream : You Can Lick Your Chai! Your favourite warm drink in a cool form! Chai ice cream, creamy silky and with a punch. Enjoying the warm cup of chai in a cool version in this smooth ice cream is truly a treat. Adding some chai powder to the ice cream mixture adds the chai flavor to it and just makes it that extra bit delicious. You can also add some ginger or cardamom to it, if you like those flavours in your chai. Even chai popsicles are amazing! Just cool your black tea and freeze it. Try adding chai to your chicken! Yes, you heard it right! Chai as a marinade for chicken works great. Mix your chai powder with some oil, salt, pepper, grated ginger and any other spice you like. Rub this over the chicken and let it marinate for some time. Then you can roast it, pan fry it or just grill it. It is a unique type of chicken and you won’t regret trying it out! It can be eaten with some sautéed vegetables and mashed potato. You can try this recipe with any other meat or even paneer if you like. Chai rice is an easy recipe. Just make some black tea without any sweetener and then strain it. Add some rice to it. Let the flavor of chai infuse into the rice. Then add some extra water. This rice complements grilled chicken or lamb very well. You can also eat it with some curry, depends on you how you like it. 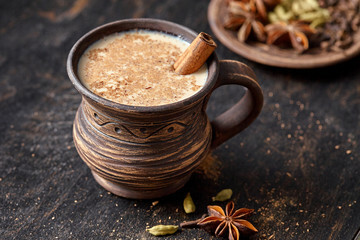 So, ready to experiment with chai in your kitchen? 5 Yummy Desserts Made With Unusual Vegetables.